Cigarette smoking has a dual effect on the male reproductive system. In contrast to the macho image projected in the various cigarette advertisements, smoking affects both the sexual function and the sperm parameters. As in other organs, nicotine also causes vasoconstriction of the penile vasculature, which leads to impotence and sexual dysfunction. 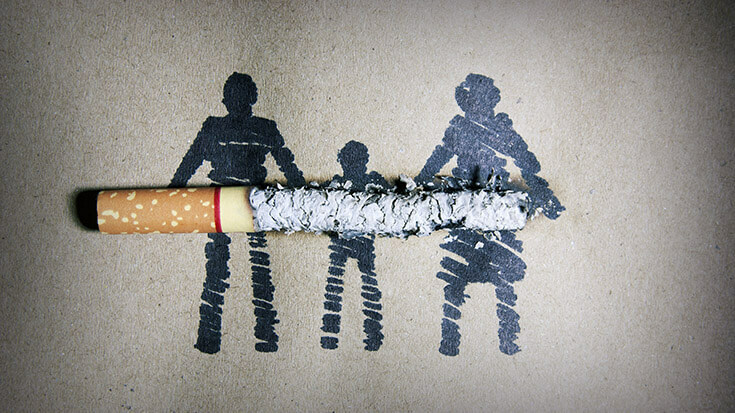 Smoking also affects all the parameters of a seminal analysis-the sperm count decreases, the motility decreases and the proportion of abnormal sperms increases. All these effects are reversible on cessation of smoking. It has numerous ill effects on female reproduction be it active or passive smoking. Nicotine has been identified in the follicular fluid (the fluid surrounding the egg) in the ovary. Smoking leads to delayed follicular growth, ovulation abnormalities, delayed fertilization and implantation failures. There is a reduction in the uterine and placental blood flow as a result of which miscarriages, uterine growth restriction and preterm labour and delivery are common, in smokers in severe cases, even intra uterine fetal death is known to occur. Besides these ill effects, smoking has also been proposed to cause genetic mutations (changes) which may lead to various cancers and congenital abnormalities in the newborn. As noted earlier smoking leads to a reduction in the uterine and placental blood flow. This leads to intrauterine and placental blood flow. This leads to intra uterine growth retardation which along with the pre-term delivery accounts for a majority of babies which are small at birth. These babies face a higher risk of morbidity (injury) and mortality (Death) in the neonate (Newborn) period. It is also known that babies are at a higher risk of developing atherosclerosis, diabetes, hypertension, renal disease and cardiac diseases in future. Added to all these is the risk of developing congenital abnormalities and various cancers.